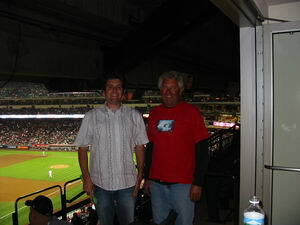 We got to watch the Angel Game from a suite at Angel Stadium on Saturday. We met some retired Angels pitcher (Clyde Wright? ), who proceeded to rip on me because my wife has never been to a baseball game. Here is a pic of the whole group.